One of the keys to the success of your brand and customer satisfaction is a website. Just like how you need to clean and stock your traditional brick-and-mortar business, you need to ensure your site runs as fast and efficient as possible. Web load speed has a significant impact on customer conversion. It is, therefore, fundamental for online businesses to keep close tabs on the performance of their websites. Below are seven load testing best practices to help you avoid downtime during the peak hours. The first step is to determine how a load testing application relates to the overriding business objectives. You will want to know how your application will perform under load. Otherwise, you might end up testing the wrong aspect of your application. You will want to pay attention to user experience channels that drive business metrics before establishing your test environment. Identify necessary user requirements that are relative to revenue, engagement, and advertising. 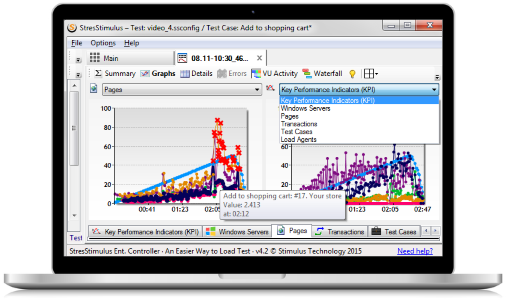 You can browse the internet to read more about load testing techniques. Establishing some essential KPIs can help an enterprise to compare its performance objectives against real-time performance. You could determine the resources that your application is consuming in the form of memory, network, CPU, and disk. You could also determine the time that your application needs to perform a calculation. That way, you will be able to decide on the number of requests that your system can process in a second. The kind of tool you choose plays an integral role in determining the success of your load test. Website monitoring and load testing tools will enable you to keep close tabs on your network performance anytime and from anywhere. With these tools, you will be able to monitor how your network responds to peak traffic loads. That allows you to address potential threats that could cause downtime before they strike. Keep in mind that your end-users are your bread and butter. Therefore, don’t get into the trap of neglecting your site visitors. Without them your website will have no revenue, so construct your load testing in a way it will address the concerns of your end-users. After each load test, evaluate your business performance against your business objectives to ensure you achieve your benchmarks. Load testing aims to enhance user experience and keep your website visitors engaged with your brand. The purpose of conducting load tests is to try to replicate your working environment as much as possible. Keep in mind that even slight configuration differences can have a significant impact on test results. As such, it is essential to understand your production environment and identify potential drawbacks ahead of time. While no test will ever replicate your environment accurately, strive to get results that are as accurate as possible. It is not possible to test everything at first. Instead, start with a few tests and then scale up incrementally. That will enable you to identify potential threats and the point at which an attack happens. Perform analytics on each test results and fix the bottlenecks before proceeding to the next test.